What initially drew you into curating your own worlds of Fantasy and how did you settle on the types of worlds you wanted to both explore in building and in developing in scope? Was this related to authors and their stories you read when you were younger – or a hungering for a writerly challenge wherein the impossible is always possible within the realms of Fantasy as imagining what is real is always the reality of the hour? Silverwood responds: I knew early on in my writing career that I wanted to tie all my books together in the same universe. There are similar names and places mentioned throughout each that link them together, especially Silver Hollow and the Wylder Tales books. I wrote Silver Hollow with the sort of fantasy world my friends and I always wanted to stumble upon. It was part wish-fulfillment and just plain to create this hidden world overlapping ours. And I loved the way The 10th Kingdom and Once Upon A Time weave known fairy tale elements into their own twists. Much of Silver Hollow’s backstory has to do with the “real history” behind these known legends. Some I only tease at, while others, like Arthur and Excalibur speak for themselves. When I started writing the Wylder Tales, I set the timeline back hundreds of years and focused the fantasy on a different “gate,” which in this edition, is where Nimue was originally from. With each book I write, the pieces of the larger puzzle have come together. It’s fun holding all the story cards now, with what I have planned for future books. Quite an impressive outline of purpose threading from one series into the other, whilst owning to your original inspirations for writing them! I like how you fused cross-sections of influence from previous variants of the genre but also, re-affirmed your own interests at the same time to tell the stories in the vein of thought you personally wanted to see explored! Sounds to me like an incredible feat to undertake but at the same time, the kind of challenge which would definitely give you loads of different entries in which to explore taking your characters! I can see why the project has enlightened you and kept your creativity alive with the possibilities! Which elements out of the wheelhouse of Fantasy and Paranormal realms do you like to include in your stories? The kind of elements readers might perk up and take stock of seeing mentioned as they are their own favourites to see re-envisioned by each writer who tackles them? What are your personal favourites as well? Silverwood responds: I tend to lean toward Dark Fantasy & Gothic fiction elements, like the Byronic hero and the house being a major character, for example. I love the old fairytales and the paranormal elements that weave throughout both genres. All the old tales have hints of sinister evil lingering somewhere amid the prettier elements. They’re cautionary tales, the sort of stories to give you chills. Silver Hollow is on the lighter end of that spectrum of course, but those darker elements are definitely there. A past and unexplained life, lost love and a deadly family legacy. These are all things I love to read about. I have the tendency of leaning in the opposite direction – away from darker tales of Fantasy, but every so often, I find myself enticed by a story like yours which takes me out of my comfort zone and gives me something else to consider as being entertaining and curious to see evolve! I do admit, it’s quite true how the older fairy tales had a lot of sinister elements inclusive to them; many more than I originally felt possible until I uncovered my main appreciation were for ‘re-told tales’ vs. the original canon collections! Laughs. I do appreciate knowing where ‘Silver Hollow’ fits and how it is on ‘this side’ of the Light from the Dark! The fey have a strong presence in your Borderlands Saga – what kind of fey are they (good, bad or borderline, etc) and what did you want to do to make a distinction between the fey of your world and others who include them? Silverwood responds: There are several types of fey in the borderlands. There are also other gates scattered around the world, like the one from my Wylder Tales series. Because of this, I wanted to focus on local myths and legends while drawing in diversity from these other cultures. As this book focuses on the British gate, you’ll see both Seelie and Unseelie courts, hobgoblins, brownies, pixies and lesser fey. Emrys is much older than all of them, what they call “wight,” but what was once Tuatha Dé Danann. I hint at other peoples in Silver Hollow, but you’ll have to read it to meet them. I like to think the fey are neither inherently good or evil. Their powers or gifts are what divide them ultimately. You’ll see some familiar tropes, like the weakness toward iron and trouble with technology. My version of these peoples feel deeply but also lack human compassion. There are exceptions to the rule, and many older fey who have changed with the times. In this modern world, the fey have been forced to adapt to the times and the Unseelie have adapted best of all. But we’ll dive much deeper into all that in book 2. Definitely sounds like a book I’d enjoy reading if only to gather more information about the fey themselves and how both Courts differ from one another but also, how they relate and can feel as if they are not as far apart as they first seem – by nature or by order. Amie has undergone a transformation between the 2012 and 2018 versions – specifically in being her own heroine and strengthening her persona – to where she truly feels like a girl who can handle whatever is thrown at her path. What are two examples of these differences between the two versions or is it more subtle and evolving as you cross-compare reading both editions? Silverwood responds: While I like to think this is subtle, it was a direct reflection of my own attitude between 2012 and 2018. I took a major life crash-course between those years, with more than my share of heartache and disillusionment. As I’m also of the same age as Amie’s character, I knew how to write her. I wanted her to be genuine and direct, but also vulnerable at heart. Here’s a woman who has been disappointed and shut her self away from the world. Emrys and Henry change all that. But what started the change was when I began rewrites with a new prologue. I wanted to show Amie as she receives Henry’s first letter and when she sees Emrys for the first time. It helped to connect dots that were missing last time. It’s difficult to cite other examples without giving too much story away. Suffice to say, she’s going to be much more assertive and challenged by all she encounters. How does the Borderlands and Wylder Tales intersect? For new readers who aren’t familiar with your collective works – what is the telling thread of interest between the two? Is it merely the world itself, the intersection of characters’ lives or something bigger than the two combined? Is the Wylder Tales series pertinent to understanding the Borderlands or can readers move in and out of both whilst following the gist of the evolving arc? Where would the Borderlands ‘fall’ in sequence if a reader inserted reading the Wylder Tales – in other words, which is the best way to read both series sequential to the ‘time-line’ of your stories? Silverwood responds: The Wylder Tales takes place during the near-distant past in the Carpathian Mountains. I’ve actually been to Romania and Transylvania and drew much from my experiences there. The main heroine of this series, Vynasha, brings her dying nephew into the forbidden Wylder Mountains in search of a mythical cure. The cure is magic of course, the source of which stems from an ancient castle and a mysterious arch within. This is one of the borderlands gates and as we learn in Silver Hollow, where Nimue originally came from. Parallels between the two series will be more apparent with future books. They can be read separately, though Wylder Tales takes place long before. However, if you have read Wylder Tales, many hints about Nimue’s past will make much more sense in Silver Hollow. This response has convinced me to seek out the Wylder Tales *first! * and then move into the Borderlands Saga! It is similar to why I was blessed to read the prequel trilogy of the Clan Chronicles ahead of reading the second and third trilogies thereafter as I read the series in the order of ‘the Clan’ rather than in the order of publication! It does make a stark difference in better understanding both the vision of a world but also, the history of a species and the trajectory of a series! What is something readers might be surprised to learn about Emrys who seems to get grumbly around Amie whenever she shows her light and happiness for unexpected joys in life? Why does Amie bring out the worst in him at times as well? Silverwood responds: Oh Emrys… lol. He has always been one of my favorite characters to write, because he’s part hero and villain, and always conflicted. I think I can say this without giving too much away, but much of what drives him with Amie is fear. Each time she recovers more of her powers, there is a greater chance of her remembering things he’d rather her forget. And as he grows to love her as Amie, Emrys fears losing her all the more. Fear, much like love, can be a powerful motivator. And Emrys knows her loving him can only end in disaster. What is the significance of the ghosts who roam the hallways where Amie lives and do they have a uniquely more important path to explore in future installments? As it seems each of the supporting cast and non-lead characters or creatures within your world might have influences of trajectory in future stories – I was curious if the ghosts themselves might be under-noticed for a reason? Silverwood responds: The ghosts play a major part in Amie’s guilt, even if their deaths aren’t her fault. They linger in the ruined parts of the castle she is driven to explore, waiting for absolution. Also, I think you might be in my head somehow with questions like this one. How did you know they most certainly have a larger part to play? One ghost in particular will be a main driving force for Amie in the sequel. As I am celebrating my own love of reading Fantasy stories or watching the films within the genre this month during #WyrdAndWonder – I wanted to ask – if you had to put a heart-pulse on why Fantasy is as enduring as a passion of interest as Science Fiction – what would it be? And, why do you think there are a lot of us who love both genres with equal admiration? Silverwood responds: First of all, what a fantastic idea! I want to join #WyrdAndWonder. Fantasy is, beyond a doubt, my favorite genre. The heartbeat of fantasy is freedom. Unlike our carefully structured modern lives, fantasy and science fiction allow us to explore other worlds and times we can only dream of. Fantasy, especially, strips down the rules of our reality and challenge our perspectives. It is the purest form of escapism. I regret, I forgot to tag you in on the #UrbanFantasy chat this past weekend! I had meant to – somehow my head has been a bit off focus this month, as I didn’t get to do everything I had planned and blessedly was able to do a few more things than I feared I might not – it was a hard month personally all round and just to be involved this year was a blessing – as like you, I love celebrating Fantasy! I even am starting to gravitate towards new authors either writing stand-alones or serials which are giving me a taste for what next year’s #WyrdAndWonder will be apart in regards to which stories and authors I’ll be focusing on! I definitely concur with you about why the SpecLit genres appeal to all of us who love them most! I hope at least you’ve found our Twitter account via @WyrdAndWonder and are following our tag!? Do participate or convo us th is week as well as have a standing invitation for 2019! In the past, this novel was released into print – do you have plans to release this into either print or audiobook format for those of us who are traditional readers? Silverwood responds: Absolutely! In fact, the paperback will be available on the May 31st release day. If there is enough interest, I’d love to do hardback editions as well. The interior for this edition is so gorgeous, I can’t wait to share it with y’all. As for an audio edition, I would love to publish one. But we may need to wait for the sequel before that’s an option. Bless you for answering this question as it was something I was concerned about – I have a lot of patience to await traditional formats and editions but sometimes I know authors are not projecting to far ahead of a Digital First edition and thereby, I wasn’t sure what you might have pre-planned to release in the future. Outside of researching your stories and writing them, what uplifts your spirit the most? Silverwood responds: My ancestors were some of the first Anglo settlers in Texas and we currently live on family land in the middle of a pine forest. It is both wilderness and paradise to me, though too isolated for many people. For me, growing up with this as a child gave me this deep tie to the land, the trees and the house. I’ve always believed in magic and have felt and sensed the unexplained. When I come here I feel surrounded by that history and the beauty of nature and this is happiness. I play piano, I sketch and create. I find beauty in everything, from my child’s laughter and the wildflowers in spring and summer, to the clear starry nights. It’s the best source of inspiration. You truly have a wonderful life and a heart-kinetic approach to your creative muse! I wish all of us could remain as dearly connected to the natural world as you are whilst still pursuing our creative endeavours slightly disconnected from the chaos of our modern lives where at times the strife and adversities can become a bit too jarring to shift. May you always keep the innocence and the happiness of this setting within your spirit and find a way to renew your creative joys! Thank you, Ms silverwood for such a wonderfully lovely conversation, the week of your ‘second’ debut for ‘silver hollow’!! I am truly hoping other readers of #Fantasy will embrace the changes you’ve made & find the nuanced approach you took to etching out your characters & the fey to be the experience they were hoping to discover! Hallo, Hallo dear hearts of #wyrdandwonder – I have a special surprise for you today over on #JLASblog: I've discovered a new author of #UrbanFantasy set in a #DarkFantasy world – happily enjoy our lovely convo (https://t.co/XyPNHTJThS) & share the fantastic insight of the FEY! Cover Reveal w/ Extract and Notes! | “Solomon’s Bell: No.2 of Genie Chronicles” by Michelle Lowery Combs; a new YA Fantasy novel published by #IndiePub World Weaver Press! First, so many of my books were inspired by participating in NaNoWriMo, so I love that it also sparked your love of writing. If you don’t mind my asking, where are you books? Would love to check them out! I also love genre-bending, even though it usually happens by accident. Much as it’s something “they” say not to do, some of the more interesting books I’ve read have been just so. And I think you hit the nail on the head about keeping the creativity alive. :) It has given me a greater focus, while allowing me to continue bending and weaving multiple genres together. I would love if you read Wylder Tales! However, be warned, it is much darker Gothic in terms of style, than Silver Hollow. And finally, I completely understand about life. So sorry to hear things have been difficult and I hope everything evens out for you soon. I’m just honored to have been featured on your blog. I’m excited to join y’all in future #WyrdAndWonders! I chose to focus on writers and the stories which were publishing – the experiences I’ve sustained as a book blogger have been a complete and total blessing! Not only for the stories themselves but for the interactions, the conversations and the connections to fellow writers. I love being able to uplift a writer’s day by blogging the heart out about their stories whilst I hope my more critical feedback is also accepted for the spirit in which it was shared. 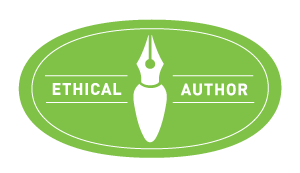 Most likely, my (future) publishing path will be on the Indie side of the ledger, as that is the way my bookish heart sways… one key clue would be why I purposefully seek out a heap of Indie Authors (ie. by publisher/press or hybrid/self pathways) and why I have continued my research into Indie methods of self-publishing as well. I’ve balanced the ‘business’ side with the ‘reading’ side for the last five years. 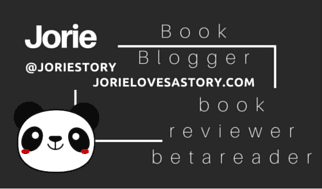 I waited five years after winning Nano to create Jorie Loves A Story (though in theory, it was not even a whispered dream) and I’ve been celebrating entering my fifth year this August, 2018 as a book blogger. I’m quite excited for the next five years leading into my 10th blogoversary/blog birthday as I have two special days per year. I’ll have to take a raincheck on your enquiry into my published works; you’ll start to notice I’m drawing closer as when my season starts to arrive, I’ll be including typosphere posts/updates on my writerly progress as well as transitioning my blog a bit more through a second Renaissance than the one I’ve already undertaken. I have a late 1930/early 1940 Royal I want to have serviced as well as seek out a few extra ‘workhorse’ vintage typewriters to finalise and polish the manuscripts I began 20+ years ago. I will say, my writing life is separated into two different eras – my teenage years and my late twenties, with a gap of 10 years between. I’ve noticed as a book blogger I’ve been re-affirming my writing(s) in a different lens – I find my (writing) voice strengthening and I appreciate the wanderings I’m taking in Fiction & Non-Fiction alike as I inch closer to re-attaching myself into my own written worlds. Bending genre is seriously #awesomesauce and finding authors who’ve mastered the art of it is like the best unexpected bookish treat! Aye. Spring was a beast for health issues – I was so thankful when it ended. I’ve had a few bounce back into my life this latter half of Summer but I am hopeful they will not be lasting. Dad’s recent medical crisis emotionally drained me; I was as thankful as Mum when after nearly four weeks we were able to resolve it. Keep attune to my blog – over the weekend, I’ll be creating a proper announcement about the NEW mini-#WyrdandWonder event on the books for *October! * If you can’t wait – (so understand!) you can pop over to @WyrdAndWonder and you’ll see the tweet s/o by our lovely co-host Lisa!! She beat me to the punch as they say, whilst Imyril and I are still in the throes of writing up our co-announcements!! I believe this mini-event is going to be up your bookish alley of interest!! I am so thankful we had this convo in May and I am equally thankful this past week realising your one of my joyfully dedicated ‘regular’ readers!! I hope your having a wonderful ending to Summer – from stories to creative endeavours! Stay museful and wishing you many blissful bookish dreams!